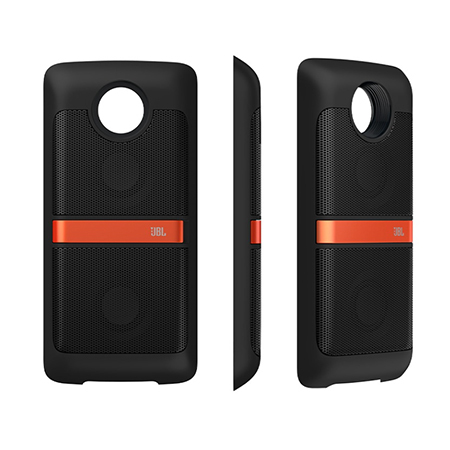 Snap the JBL SoundBoost speaker quickly and easily onto your Moto Z to immediately pump up the volume with incredibly powerful stereo sound. 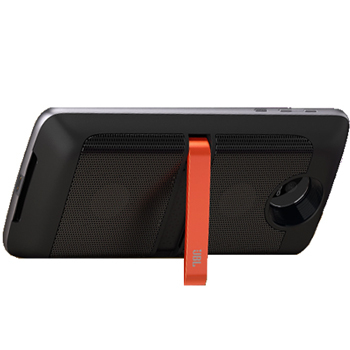 No need for pairing, this Moto Mod is perfect for enjoying top quality audio wherever you are. The integrated battery boost and a built-in kickstand allows you to enjoy your music for longer as you prop up your phone. Enjoy up to 10 hours of battery life with the JBL SoundBoost without using your phone's battery.